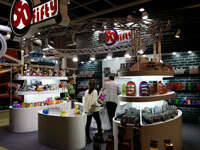 Organised by the HKTDC and held at the HKCEC, the Hong Kong Toys & Games Fair is the largest toy industry event in Asia. Exhibits include candy toys, branded toys, educational toys & games, electronic & remote-control toys, festive & party items, outdoor & sporting items, toy packaging, smart-tech toys, soft toys & dolls, video games, etc. 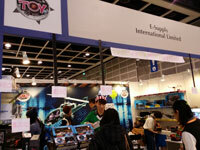 The fair also includes a Kidult World featuring hobby goods, magic items and vehicles, mechanical toys & action figures. In coming year, the way forward of the Remote Control line will going to high technology. Apps control toys still in main stream. Many factory is now push their remote control toys to high technology, such as rc heclicopter will have real time video feature. GPS, 2.4GHz, like the Transporter of Amazon. There have another funny remote control helicopter from a new toy factory namely SJ. 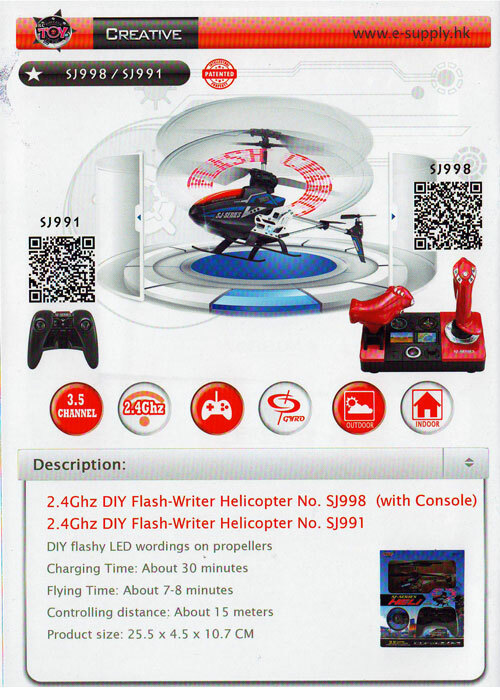 The latest copter model (SJ911) with feature to DIY flash-writer by linking to computer. You can edit your own text, wordings on propellers (LED). Flying is good and stable. That is a good choose other than Syma and WL.